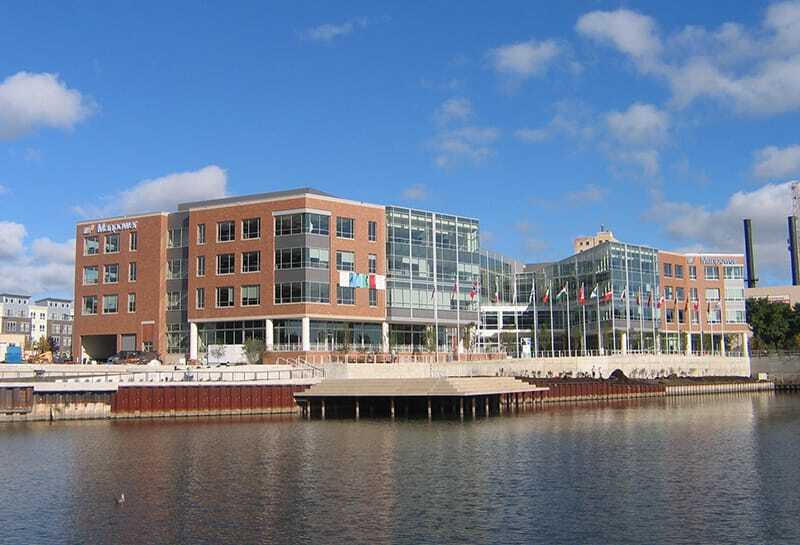 This corporate headquarters project included the construction of a four-story office building, a section of the Milwaukee Riverwalk, a 585-foot road and a seven-level parking deck with street-level retail space connected to the office building via a skywalk. The 292,000 SF headquarters building is prominently situated along a bend in the Milwaukee River offering dramatic views of the city skyline. The building resembles a bent horseshoe with structural angles and glassworks that bracket a plaza entrance along the river. 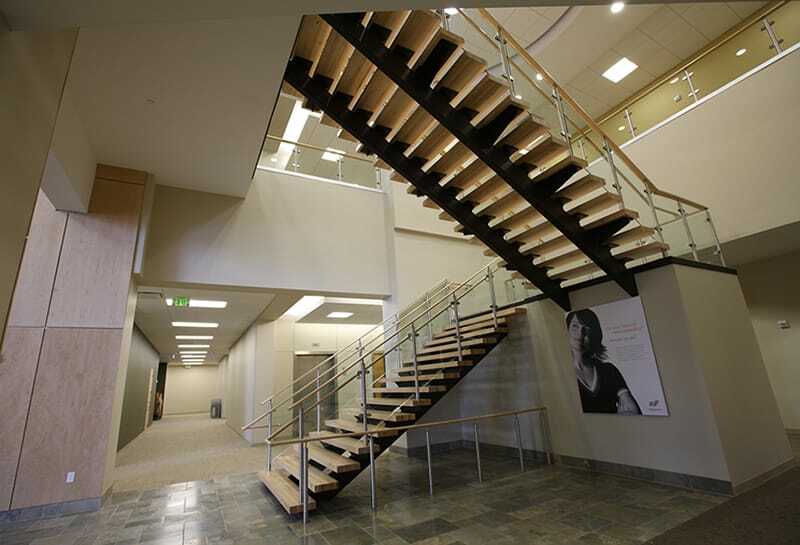 The first floor houses the lobby, client center, state-of-the-art learning center and a café. 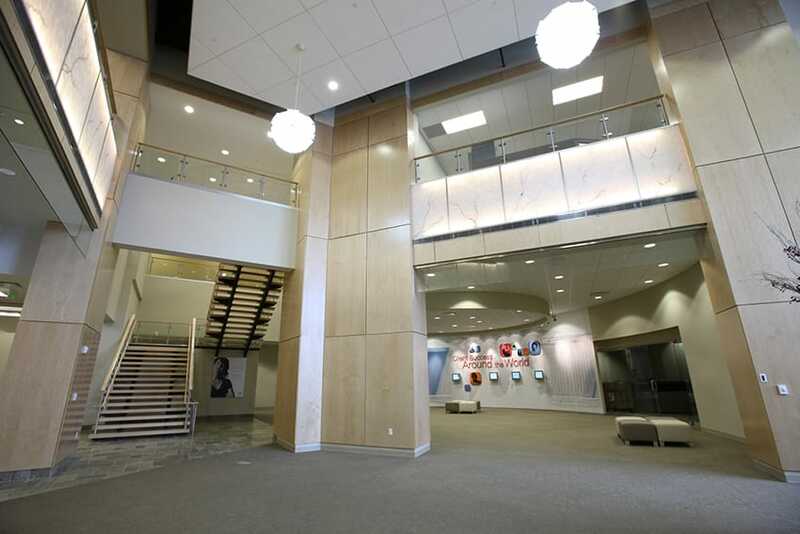 The second, third and fourth floors contain raised floor office space for ManpowerGroup and two subsidiaries, Jefferson Wells and Right Management. Outside, there is a two-story water wall at the entrance and the plaza, connected to Milwaukee’s Riverwalk and offers public access to free wireless internet. The building’s masonry mass fills the entire site and is punctuated by windows set deep into the skin. An elegant glass and aluminum curtainwall is carved deeply into the river façade – opening the core of the office building to the city and the river. Wood resin panels provide a warm counterpoint to the glass façade along with subtle articulation along the north and west façade. Abundant glass fills the first floor height, and the rooftop terrace provides spectacular views. The building achieved LEED-NC Gold certification. Several of the sustainable elements include: under-floor air distribution systems, daylight to 90% of the work spaces, water use reduction, water efficient landscaping, maximum construction material recycling, use of low-emitting materials, 50% of the wood used from rapidly renewable forests and access to public transportation. This project posed many project challenges including: buried obstruction, multiple agency approval processes, contaminated soil, urban location, existing utility lines that ran through the site and the existing river seawall. 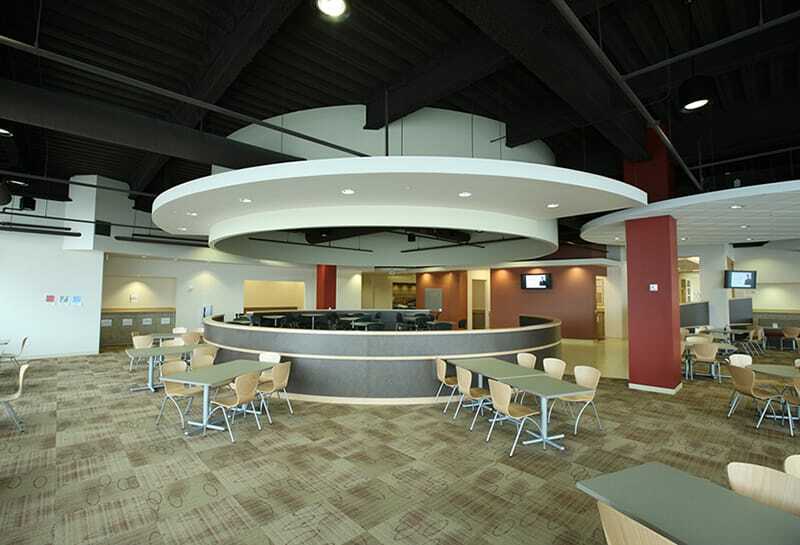 Gilbane partnered with the client to successfully deliver the project.